Anyway, I got the skirt in two different colors, here is the first one, the "seeing everywhere" one! I styled it simply with this lace dress I wore as a top and white heels! Btw how do you like my new earrings and necklace? I'm in love with them, got them on Wednesday along with other stuff you'll see soon! Bref, je l'ai achete dans deux couleurs differentes, celle-la c'est la premiere, celle qu'on voit partout! Je l'ai porte avec cette robe que j'ai mise comme un top et des talons! Au fait comment vous trouvez mes nouvelles boucles d'oreille et mon collier? J'adore, je les ai achete mercredi avec d'autres trucs que vous verez bientot! Ton collier est adorable ma chérie rassure-toi. Et ta jupe aussi. waow!! j'adore ton look ma cherie!! j'aime tellement cette jupe la! bizarrement je l'ai vu sur une fille la semaine passee a Abidjan ici, mais elle la portait mal , lol! toi c'est le contraire tu la met en valeur! j'adore tes bijoux aussi! i love you mix of print colors and texture! 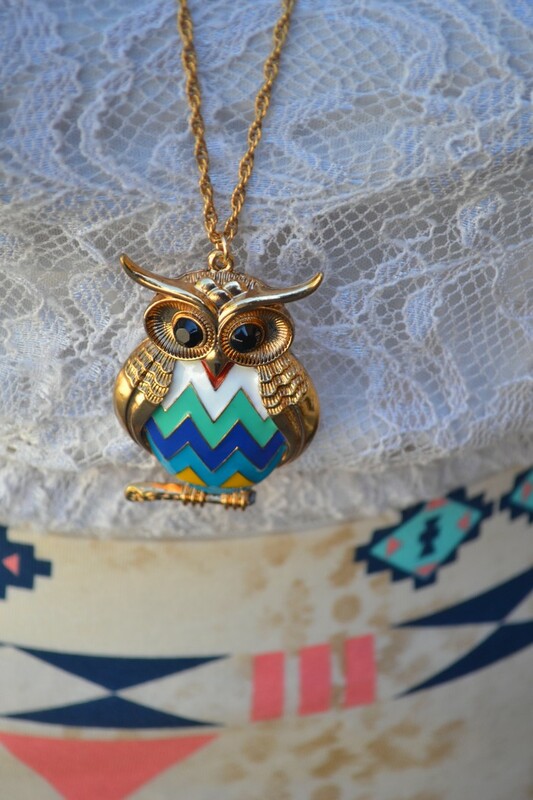 Awww, that owl necklace is so cute ans I love your one shoulder lace top, Diane, very pretty! Awww :) you look LOVELYYY! i have that kind of skirt also but in different print... i'll wear it if i have time! Loving the print and colours of this skirt, it looks so great on you! Thanks for the lovely comment D.
You look stunning in this outfit, I like the mix of white and bright colours (which I could rock white like you)and that skirt is so pretty, and indeed everyone's been wearing it quite a lot. Lol at the part where you are happy that it isn't worn as much now so you can whine hahah. 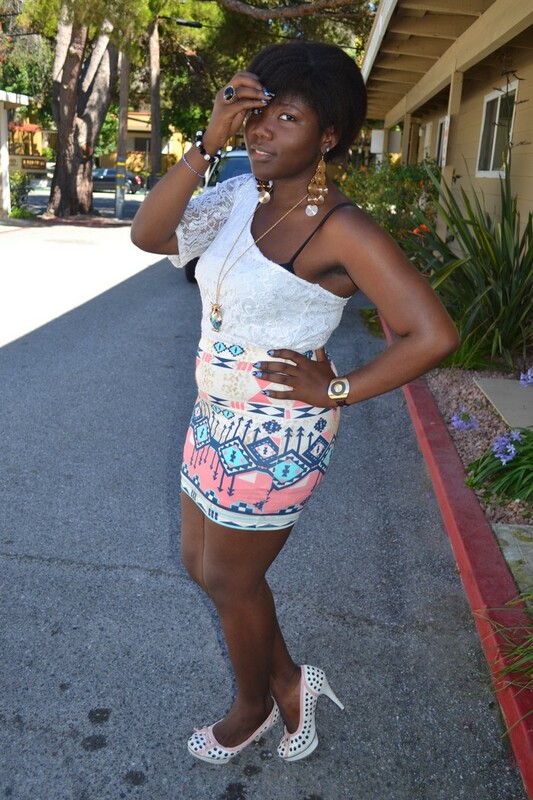 I absolutely love this look , not to mention this aztec skirt !! Lovely style hun !! Nice blog, I'am following you! Thank for your visit! You have such a nice blog, I just found it and it is perfect.This outfit is gorgeous, following u.If u want you can check out my blog too.